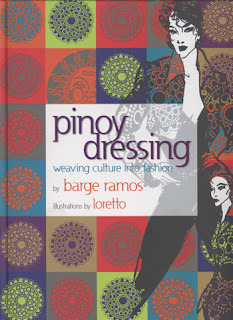 The collection of valuable vignettes of cultural identity compiled into one beautiful volume shows the evolution of Philippine fashion as a stimulating chronicle of history whose relics, influences, and present-day application continue to shape, color and embellish the very fiber of every Filipino’s being. 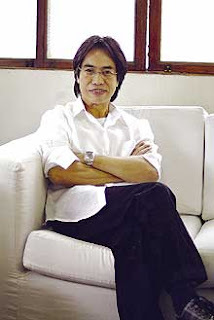 “What I discovered in the process of writing these articles (Pinoy Dressing: Weaving Culture into Fashion, 2007, Anvil, Philippines) is that Filipinos have always been dressing in an eclectic style, a cross-cultural mix of elements that goes way, way back. For example, there is a rare photo in the book, of a couple all dressed up in traditional Muslim fashion, but the bride was wearing a Chinese headdress and the groom was in Western-style leather shoes. That’s no different from the modern groom wearing a Piña Barong Tagalog and Ferragamo leather shoes for his wedding date; or an Imelda Marcos, for that matter, in a lavish Christian Espiritu terno with a European tiara as a hair accent. The Filipino style of dressing is really a mix of Western and Eastern elements. "